CLV Frontier Brands — a joint venture between Creso Pharma (ASX:CPH), LGC Capital (TSXV:LG), and UK-based Baltic Beer Company — has now officially kicked off the global launch of its cannabis-inspired terpenes-infused Old Boy Mary Jane (OBMJ) beer range, beginning with the UK leg at the Boutique Bar show in London last week. 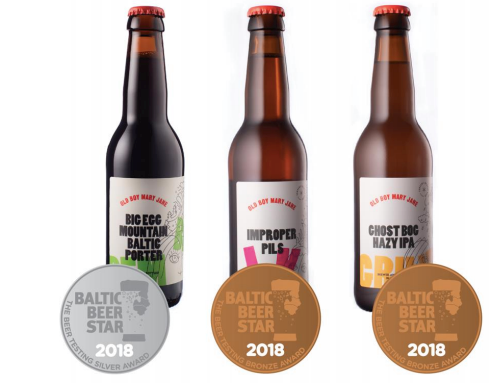 As CPH revealed in a market update this morning, the OBMJ Big Egg Mountain Baltic Porter won a silver medal at the Baltic Beer Star 2018 competition that was held in Riga earlier this month. OBMJ Improper Pils and Ghost Bog Hazy IPA both won Bronze Medals. The launch of OBMJ Ghost Bog Hazy IPA, OBMJ Improper Pils and OBMJ Big Egg Mountain Baltic Porter has all gone to plan, with wholesalers now appointed for the UK, and with two beers already listed on drinkshop.com and Beers of Europe. The first two high-profile bars in London to take on OBMJ are Zigfrid Von Underbelly and Road trip & Workshop. The mainland European launch will be at Bar Convent in Berlin, starting this week. Old Boy Mary Jane beers contain blends of organic essential oils called terpenes that give cannabis its distinctive aroma and flavour. The terpenes used in the beer carry the unmistakable fragrance and flavour of marijuana, but they aren’t derived from it. They also don’t contain THC (tetrahydrocannabinol) — the compound found in cannabis that gets you high. This global launch also comes with impeccable timing, as the popularity of both cannabis-infused beverages and craft beer in general continue to surge. The JV will be following in the footsteps of the brewing giant behind Corona beer, Constellation Brands (NYSE:STZ), which recently invested US$4 billion into Ontario-based Canopy Growth (NYSE:CGC | TSX:WEED). Canopy Growth has since become the first pure-play cannabis stock whose valuation has entered the large-cap corridor (that is, with a market cap of at least $10 billion). Molson Coors Brewing Company (NYSE:TAP) is another alcohol giant that has invested heavily in developing cannabis-infused beverages. UK spirits giant, Diageo (of Guinness beer fame), is also in discussion with at least three Canadian cannabis producers about a possible deal. In short, the intermingling of cannabis and beer is very much on theme right now. More broadly, the craft beer market itself is also blossoming, and will grow by 5% over the next five years, according to IBIS. 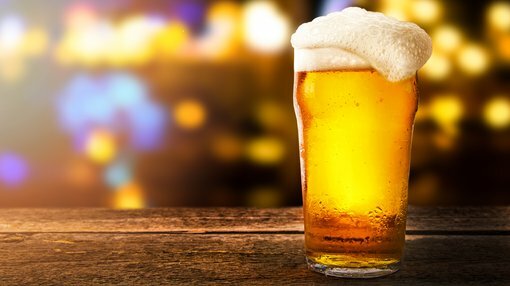 According to Grand View Research, the global craft beer market is expected to reach US$502.9 billion by 2025 on the back of rising demand for low alcohol by volume and flavoured beer. John McMullen, CEO of LGC and director of CLV, said that the global launch of OBMJ beers in London has been very successful, and that interest levels in these unique beers has exceeded original expectations. “The global beverage market has been expanding rapidly into the craft beverage lines. With highly individualised and independent young adults demanding a high-end selection of beverages to choose from, CLV caters to this growing market and provides a connection with flavours and experiences that the global consumer can fully enjoy,” McMullen said. Creso co-founder and CEO and CLV director, Dr. Miri Halperin Wernli, commented: “We are very excited about the launch of these unique creative products infused with natural organic blends that bring exciting flavours and aromas. Paul Baxendale, managing director and sales and marketing director at Baltic Beer Company, said: “We were delighted with the success of the OBMJ launch in London. The liquids were really well received and response to the branding was extremely positive. “There was a much greater level of understanding in relation to these unique beers than we expected, and we are confident that OBMJ can secure a prominent place in the market. We now move to launch the OBMJ brand in Germany,” Baxendale added. This positive piece of news from the quick-footed CPH comes only a day after the company’s last update. Yesterday, CPH announced that its application to become a licenced cannabis producer (via its Canadian subsidiary, Mernova Medicinal Inc.) has been accepted by Health Canada. This will transpire in a cultivation licence — one of the few to be issued to local companies in Nova Scotia — which will see Mernova planting its first cannabis crop in the new Canadian cutting-edge indoor growing facility at the end of the year. It should be noted that CPH is in its early stages and investors should seek professional financial advice if considering this stock for their portfolio.